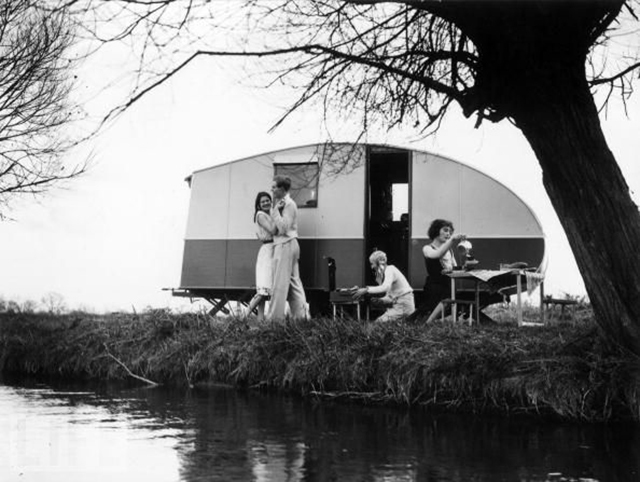 Travel trailers and caravans vary from basic models which may be little more than a tent on wheels to those containing several rooms with all the furniture and furnishings and equipment of a home. 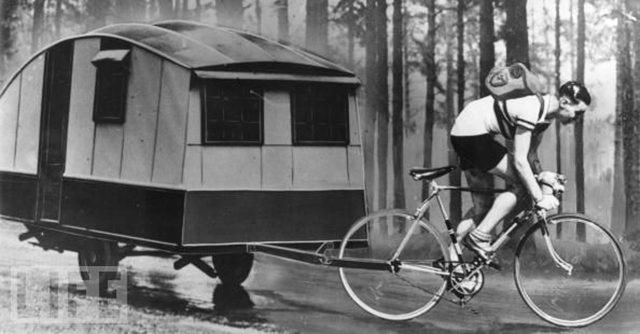 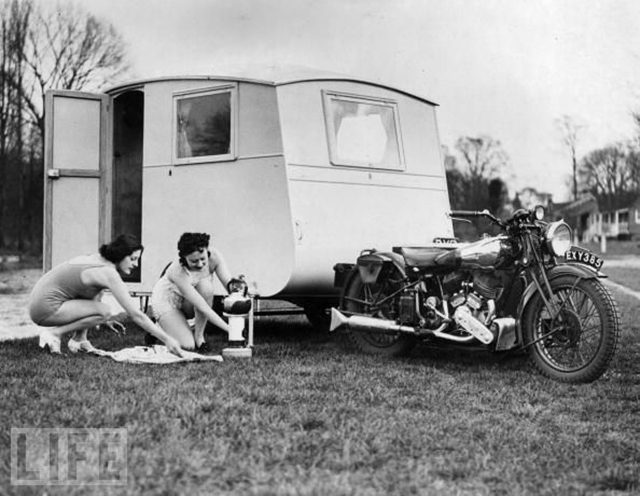 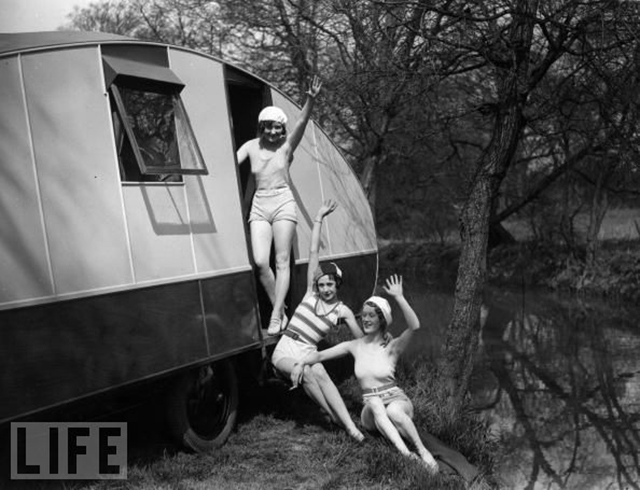 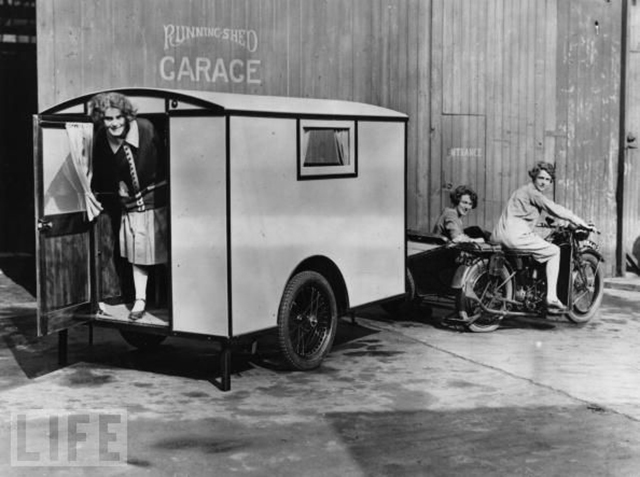 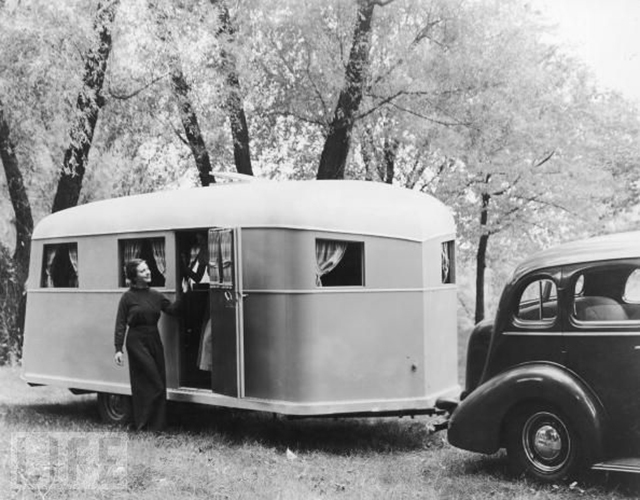 In the United States, the history of travel trailers can be traced back to the early 1920s, when those who enjoyed their use were often referred to as 'tin can tourists'. 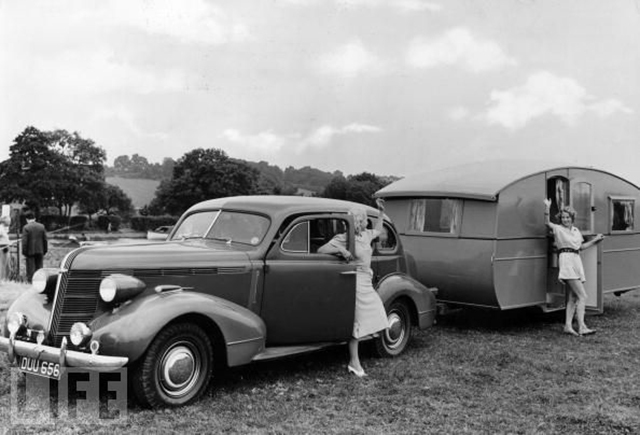 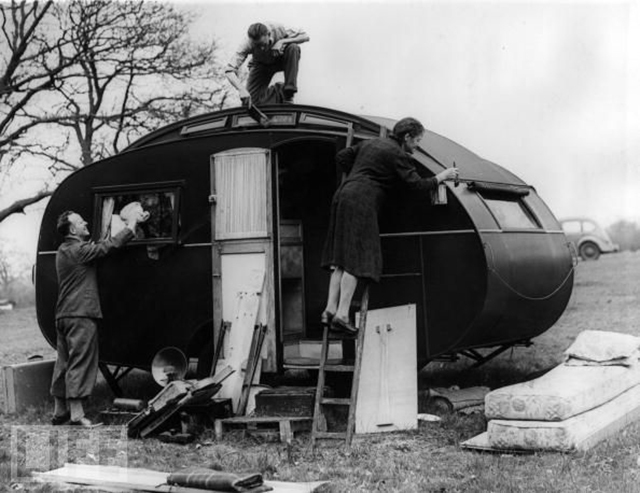 As time progressed, trailers became more liveable and earned a new name in the 1930s and 1940s, which was the house trailer. 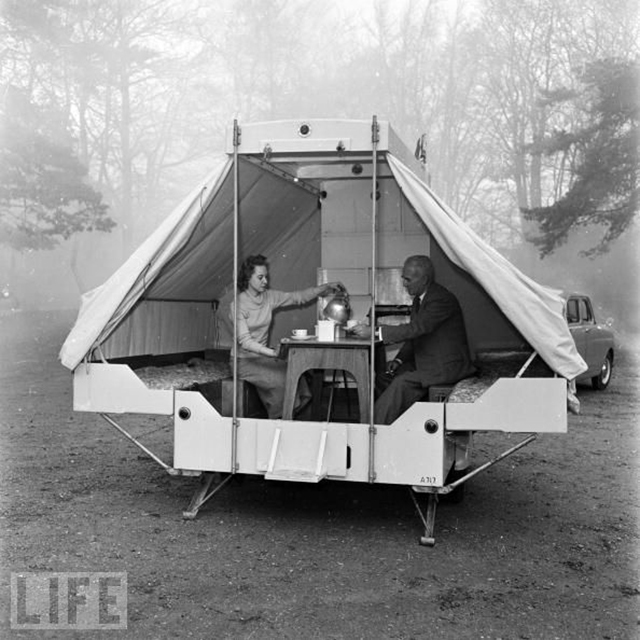 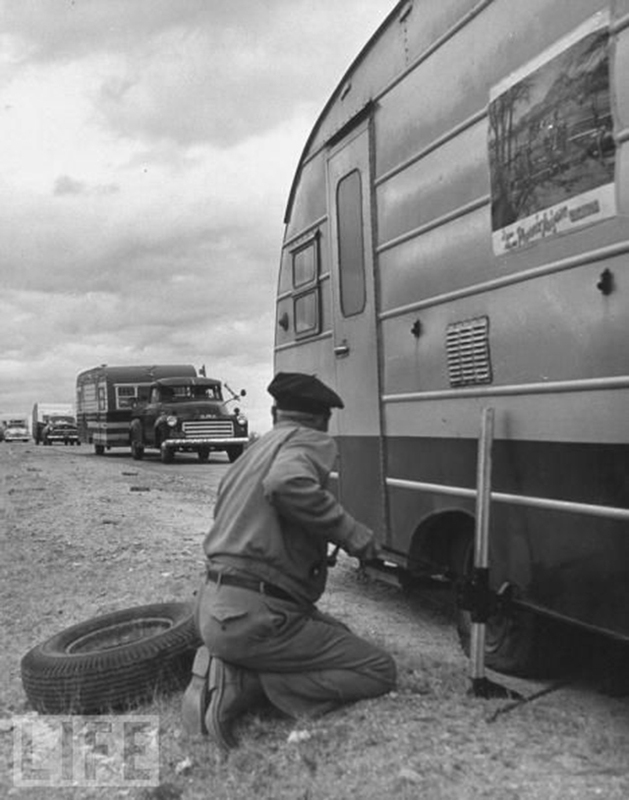 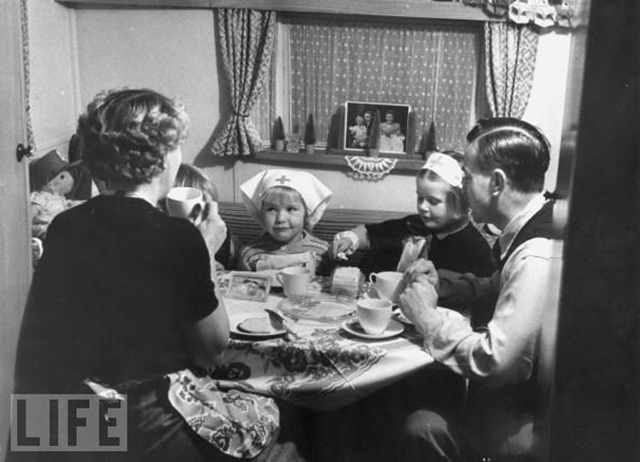 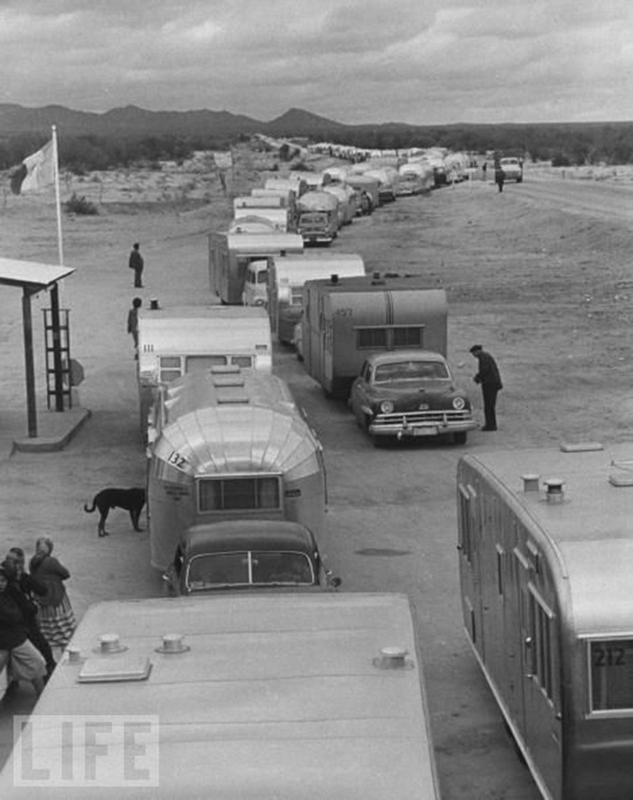 In the 1950s and 1960s, the industry seemed to split, creating the two types that we see today, that of the recreational vehicle (RV) industry and mobile home industry. 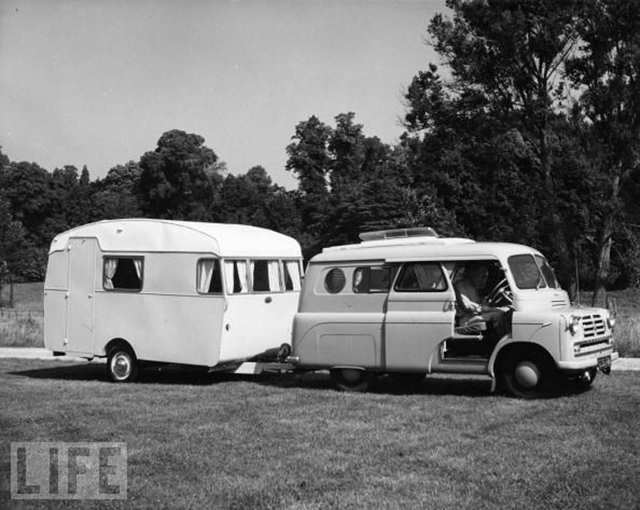 Today travel trailers are classified as a type of RV along with motorhomes, fifth-wheel trailers, pop-up trailers, and truck campers. 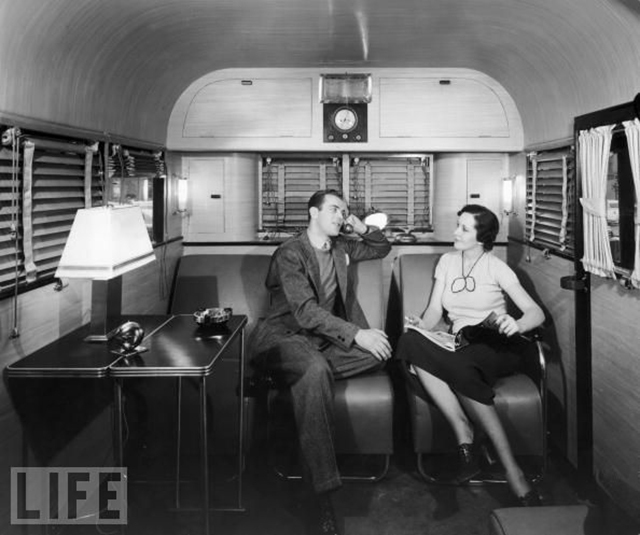 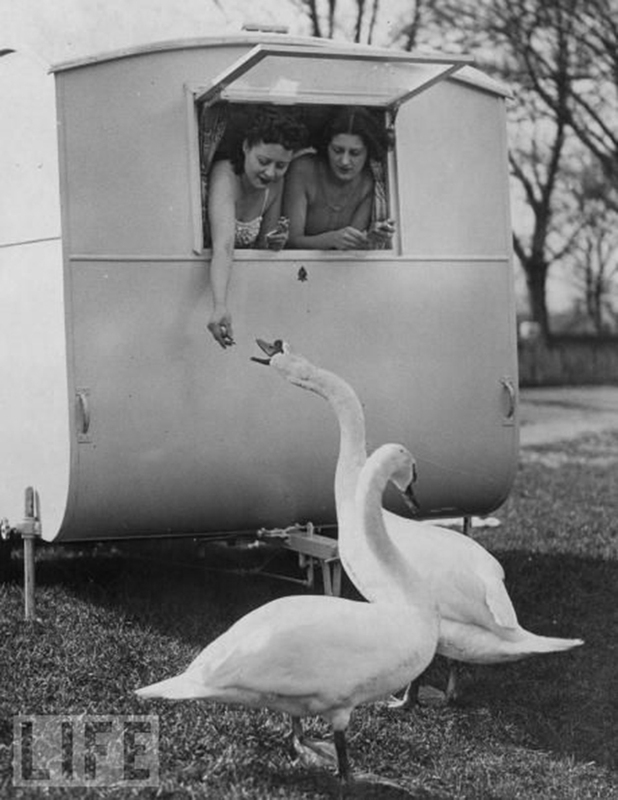 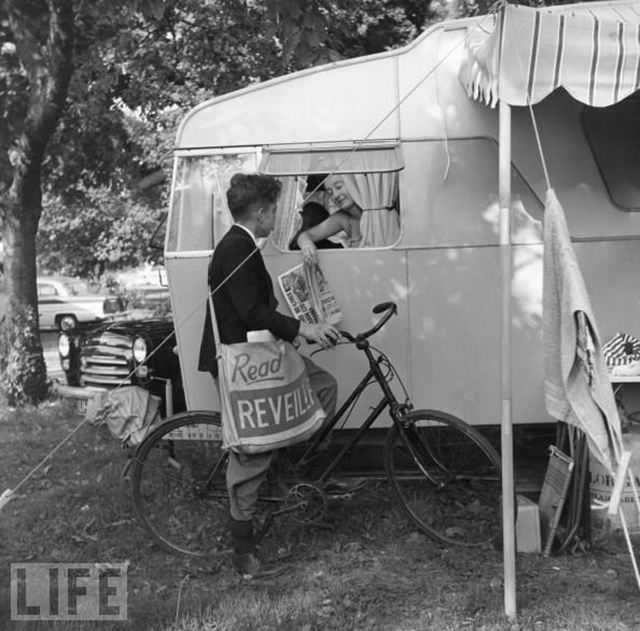 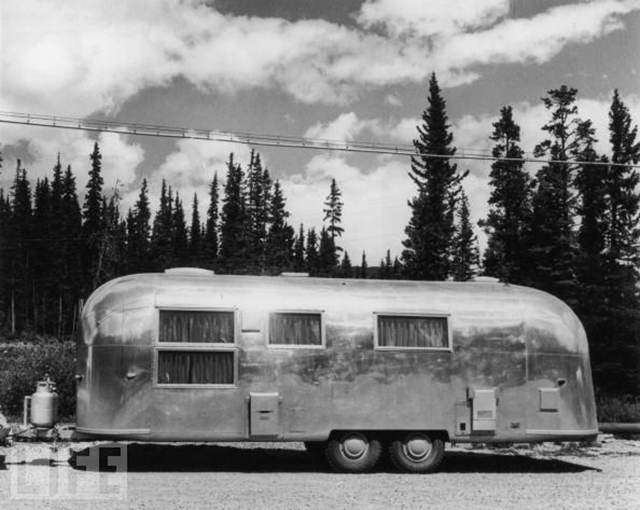 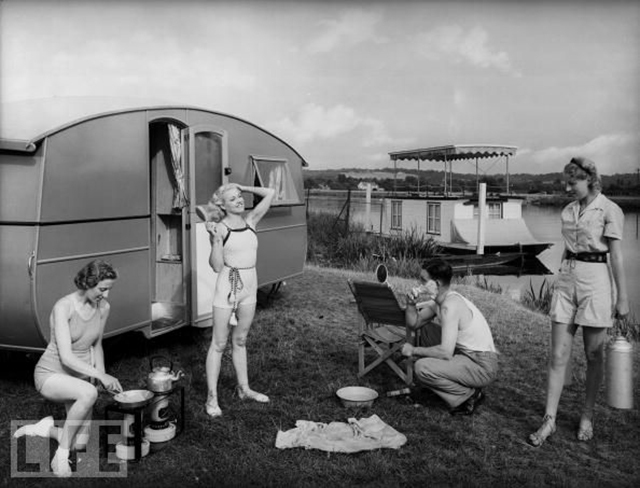 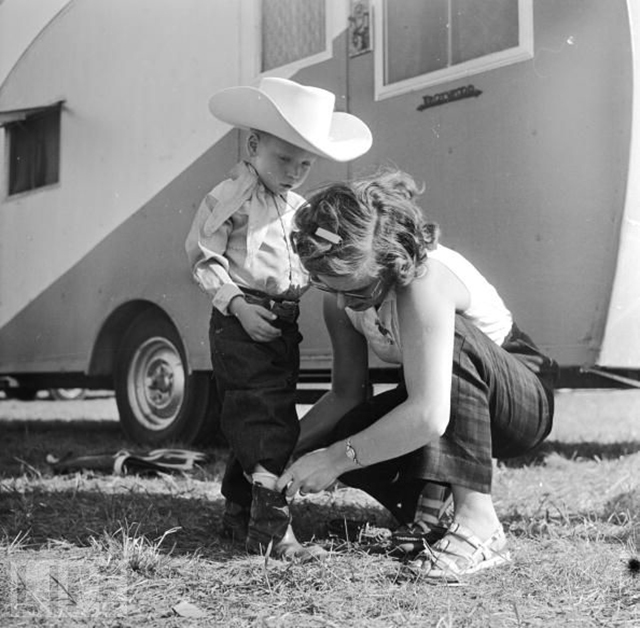 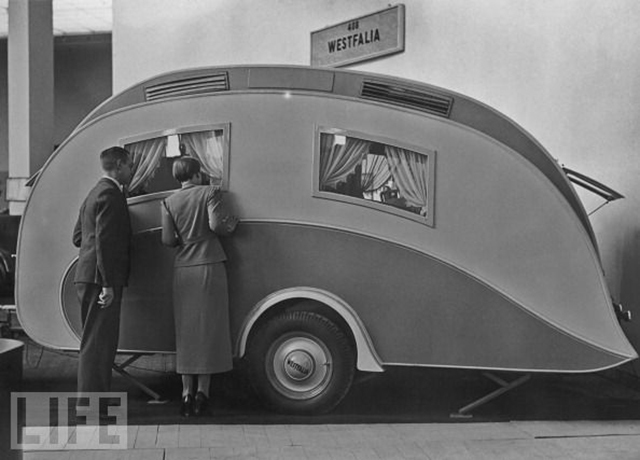 Here's a collection of 20 vintage photos that show the golden age of travel trailers during the 1940s and 1950s.